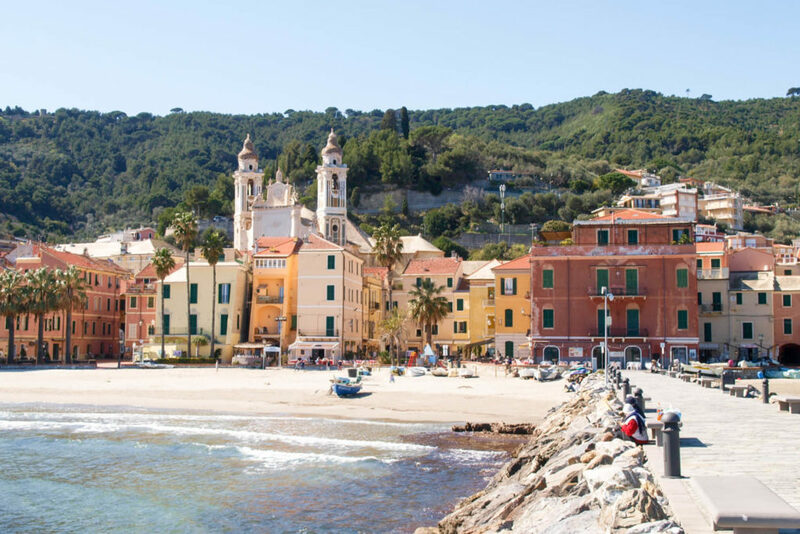 One of Italy’s Mediterranean gems, Laigueglia has not only beautiful beaches and great fishing but also colourful buildings for the Instagram lovers. 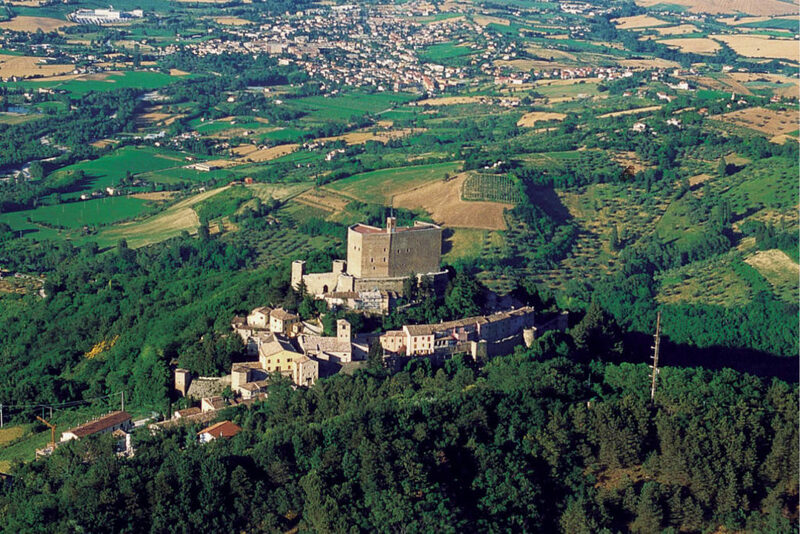 With breathtaking views all around, as well as within the village itself, it’s hard not fall in love with Montefiore Conca. 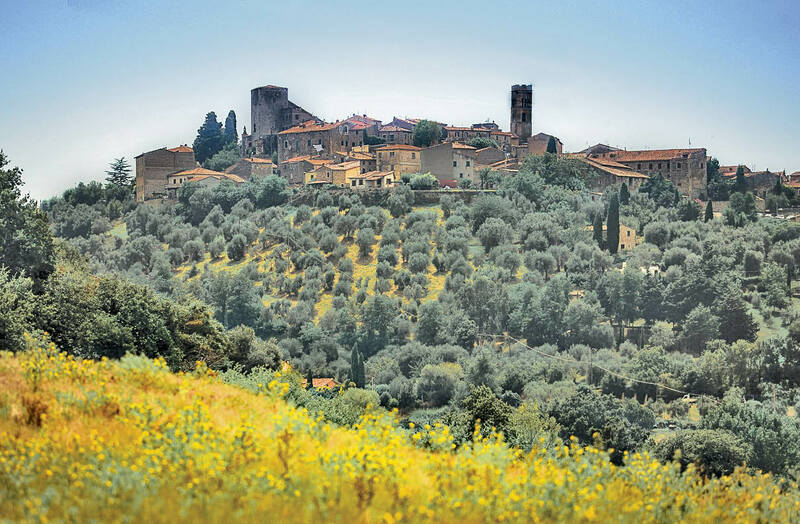 Tuscany’s countryside is world renowned, but if you haven’t visited Montemerano then you are missing out. With a combination of beautiful murals and medieval architecture, Dozza is one Italian village you must see. With its honey-hued façade, Montalbano Elicona Castle is considered one of the finest monuments in Sicily. Big isn’t always better; Italy’s small hamlets and villages are possibly the best places to experience the true charm of this compelling country. Here are five you might like to start with. Where? 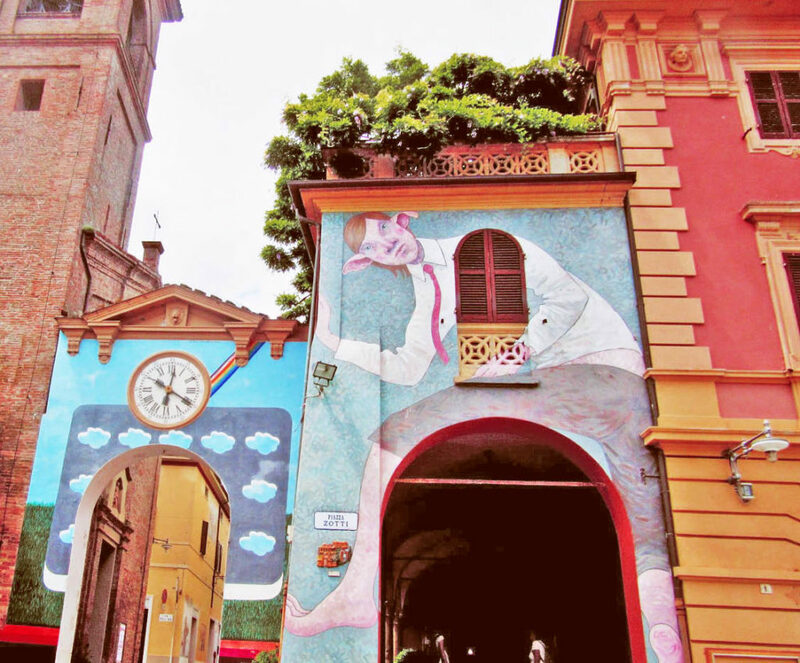 Located in Emilia Romagna, this colourful medieval village is an easy 40 minutes from the walled city of Bologna. Why? Perched on the top of a hill and surrounded by vineyards, Dozza is a living, breathing open-air museum of sorts, not just because of to its evocative historical architecture but also for the fact that much of it is covered with vibrant murals and artworks realised by local artists. This gives the entire village a fun, colour-drenched aura that is totally unique. What to see? 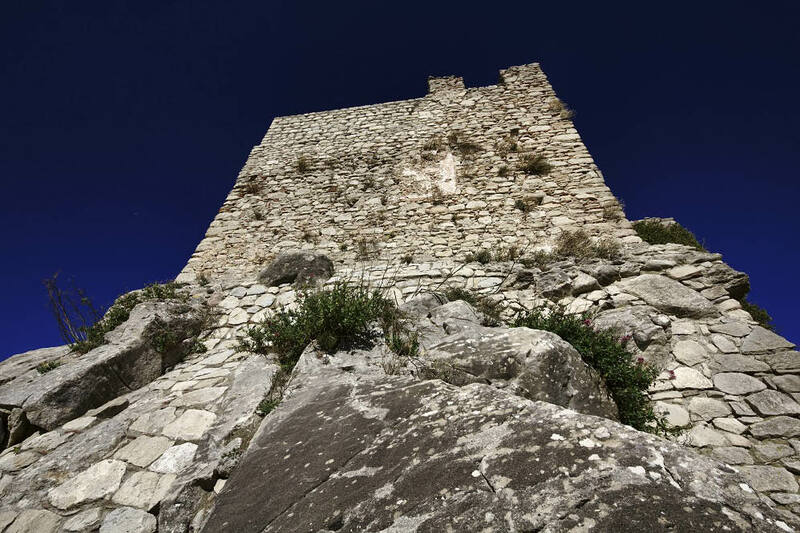 Given its position atop a hill, you are going to need to commit to a gentle climb to reach the hulking Rocca Sforzesca fortress, which was built on the ruins of a 13th century fortress in the 15th century. There are lots of medieval elements, such as loopholes, trap doors and a moat, that hint at its tumultuous past, as well as sumptuous Renaissance rooms including the Main Hall and the bedroom once occupied by Pope Pius VII. What not to miss: Steep inclines notwithstanding, it’s all about walking in Dozzo, all the better to see the artworks at close quarters. Plan a visit for September for the Biennale Exhibition of the Painted Wall (taking place in 2017 and then again in 2019), when artists from all over the world gather to further festoon the village with artworks. What to eat: There are little restaurants scattered throughout Dozzo, serving up honest, hearty dishes like hand-made garganelli topped with a traditional ragout sauce, and lots of local stews and roasts featuring lamb, pork and rabbit. Many of these are accompanied by piadina, a typical Emilian flatbread that has been added to the list of traditional regional food products of Italy for the Emilia-Romagna region. Where? On the island of Sicily in southern Italy. Why? Located in the lovely province of Messina, Montalbano Elicona was voted the most beautiful hamlet in all of Italy in 2015, which is saying a lot considering what’s on offer across the country; it possesses centuries of man-made history and ancient natural wonders that can all be easily explored. What to see? Montalbano Elicona Castle is considered by many as one of the finest monuments in Sicily, with its honey-hued façade dominating the charming hamlet. Built for defensive purposes in the 12th century on top of already existing Byzantine and Arab (Moors) walls, the castle is reached via the winding medieval roads of the old town, with the Byzantine Royal Chapel and the small museum dedicated to musical instruments definitely worth the climb. Overlooking the busy Duomo Piazza, the hamlet’s Cathedral, dedicated to Santa Maria Assunta and St. Nicholas Bishop, dates back to the 9th century and is resplendent with soaring roof trusses, intricate circular rose windows and beautiful frieze. What not to miss: Walk to the nearby Argimusco, a collection of jutting quartz and sandstone rocks crowned Sicily’s Stonehenge, to take in the hulking megaliths, the stunning surrounds and the otherworldly quiet. There’s a walking trail that passes cut outs of the Virgin Mary, monks and an eagle that hint this being a sacred site in the past for worshippers. What to eat: It is sweet treats that stand out in these parts, with creamy ricotta cannoli an absolute must try. Visitors with a sweet tooth will also love the summertime breakfast favourite of a glass of coffee accompanied by a scoop of granita on a brioche bun. Where? An hour from the beaches of Rimini in the Emilia Romagna region. Why? The fortified village has a glorious medieval atmosphere, and is picture-postcard positioned on top of a hill with sweeping views out over green valleys and woodlands (its name Montefiore comes from the Latin Mons Florum, meaning mountain of flowers). What to see? Contained within fortified walls, Montefiore Conca should be experienced by simply wandering aimlessly through its ancient streets and alleys, meeting locals, stopping for coffee and taking in the charming historic architecture and surrounds. What not to miss: Come October the hamlet dedicates itself to the celebration of the chestnut, which are found in abundance in the woodlands surrounding the fortified walls. During the festivities there are produce markets, food stalls, street games, live music and lots of chestnuts consumed. What to eat: Chestnuts, of course, roasted or otherwise. But, given Emilia Romagna’s tradition of producing some of the best pasta in the country, expect to sample lots of this too, from garganelli to tagliatelle to gnocchi. Where? In the distinctive rolling countryside of Tuscany. Why? A real hidden gem, Montemerano is a charming medieval walled hamlet (the census put the population at just 487 people in 2011) of stone buildings with distinctive terracotta roofs sitting atop a hill surrounded by trees and wildflowers. What to see? Reached via cobbled streets, the 14th century Church of San Giorgio features the wonderfully quirky Madonna della Gattaiola (Virgin Mary of the Cat Flap) painting, so-called due to the circular cat door cut into the bottom of the art work to allow the priest’s cat to enter the church when the doors were closed. What not to miss: Neighbouring Saturnia, just a few kilometres away, is renowned for its thermal baths that have been soothing the populace since the Etruscans; a Roman colony was set up in 183BC. Take to the waters and then wander the streets within the medieval walls. What to eat: Try acquacotta (cooked water), the local soup invented in ancient times to make use of stale bread. Hearty peasant food, it traditionally consisted water, stale bread, onion, tomato and olive oil, along with any vegetables or leftovers that might have been around when making it. The modern version also includes eggs, which are poached in the hot liquid. Where? Located by the sea in the north western region of Liguria. Why? Apart from its charming seaside position on the Mediterranean, with its soft sand beaches and pretty harbour where local fishermen busy themselves mending their nets, the lovely pink hue of its buildings makes it instantly Instagrammable. What to see? Once you have waded into the waters of the Mediterranean, pack up your beach towel and set out to stroll the streets, taking in San Matteo church, with its distinctive twin bell towers topped with crosses. After that head to Via Dante for a spot of shopping in the little boutiques and then grab lunch at a nearby restaurant. You can also go a little further afoot to take in the nearby medieval hamlet of Colla Micheri and the lighthouse at Capo Melle. What not to miss: The chance to see whales in the Mediterranean; there is a whale sanctuary just off the Ligurian coast, with whale watching trips heading out daily from April to November. What to eat: Not surprisingly given its coastal position, seafood is a local specialty. There are also a number of sweets that are traditional to the area, including jam-filled pancakes known as panzerotti. More information: For more information, check out the Italian State Tourist Board.